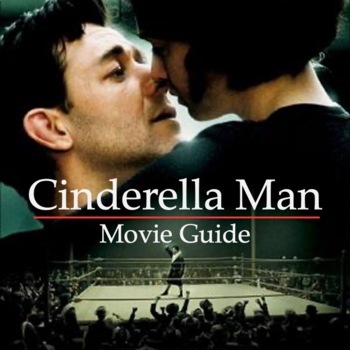 In our US History class, we cover The Cinderella Man assignment in conjunction with the chapter that we are studying regarding the depression. The movie is amazing and most students have not seen the movie. I'm including an introductory PPT/KEYNOTE for the students as well as some discussion questions for after the movie and Bonus Quiz. I also count this as a test grade for the chapter to change it up and have the students do more writing than anything else. I have included the rubric and the real story behind the movie. STEP 1: Go over the Cinderella Man writing assignment in class. Students can either work by themselves or with a partner in my class. We write almost every week so this is just a way to cut down on the grading and give the kids a chance to work together and collaborate. STEP 3: Have students take out 1 sheet of paper and break into 4 parts that can correlate with all 4 parts of the essay. I will include a sample of my notes. STEP 4: Have students write essay and turn in in MLA format. STEP 5: Go through and have students discuss the fil with a partner and then go through and discuss as a class. Another option is to have the students just discuss in groups of 3-4. STEP 6: I am including a quiz/ fill in the sheet to go along with the movie. This is really a bonus item and does not have a key with it. I have since added a 20 questions quiz with some opinion questions as well. © Social Studies MegaStore. This purchase is for you and your classroom. Duplication for an entire school, an entire school system, or for commercial purposes is strictly forbidden. Please have other teachers purchase their own copy. If you are a school or district interested in purchasing several licenses, please contact me for a district-wide quote.